The new world of blockchain-based advertising will create a major shift at the cross-section of advertising and the internet. HOOCH, the number top drink-a-day app that has changed the game for bargoers from New York to Hong Kong with their free drink app, is about to shake up the hospitality industry again. Not basking for long in the success of their recently-released lifestyle experience program, HOOCH Black, this next development is also set to be a surefire success. Their new project, TAP Coin, is due to be launched soon and it’s an innovative product, to say the least. TAP Coin is more than just HOOCH. While HOOCH Black has 100,000 hotels on the platform, with discounts of up to 60% off Expedia and hotels.com rates, TAP Coin will feature more than just this. HOOCH will be the first — and only one of dozens of apps on the TAP decentralized ad network. This means that while HOOCH currently has 200,000 subscribers, other apps will have tens of millions on the network. But there’s more- the advertising potential is phenomenal with a platform like TAP Coin. Due to its decentralized nature, the network is magnitudes more efficient than advertising on a centralized platform like Facebook, Instagram or Google AdWords. Millions of users, hundreds of thousands of venues, massive discounts and a radically new advertising model, all based on blockchain - TAP Coin is the next household name app. Not only does TAP Coin offer major discounts on hotels, drinks and entertainment experiences, it also uses the power of blockchain to empower consumers with their own data. This means that users now have the choice to allow advertisers to collect their data or not. If users allow their data to be used by advertisers, then they are rewarded with TAP, which they can then redeem on hotels and experiences (at already discounted prices). In this way, TAP becomes a defacto loyalty currency, which does not discriminate according to origin of the loyalty points. It solves the old problem where there’s no one common asset or so-called “bonus” that can be spent all across the world in different restaurant branches, hotels, and others. With over 100,000 venues, the rewards are high for consumers who are judicious with their data. For advertisers, they also get far more targeted and tailored data than previously, with conversion rates of up to 60% (far higher than the usual 1%). As the data is unidentified, user privacy is also ensured. This is a radical break from the traditional model of advertising. In exchange for TAP, users can sell their purchasing data directly to brands, who then use are able to create super-effective, relevant advertising. The secret to this new formula is that the data is enriched with small details like customer behavior, traits, habits, times when customer is most likely to make a purchase and much more. How is it kept private, though, you might wonder? The data is securely sold by members using a smart-contract system where customer names are kept anonymous. However, their unique identifier means that the data is still targeted and relevant- a win for all parties. CEO of TAP Coin, Lin Dai: “We thought - why don’t we offer customers the option to sell their data to entertainment companies, and in return, get major discounts on luxury experiences and other great opportunities? It seemed like a win-win for all”. Most loyalty programs are just not worth using. It can take many years and concerted effort to realize even a small benefit. Users often feel stuck with loyalty programs, meaning they will purchase something they find less useful if they have stuck with a brand for a long time. 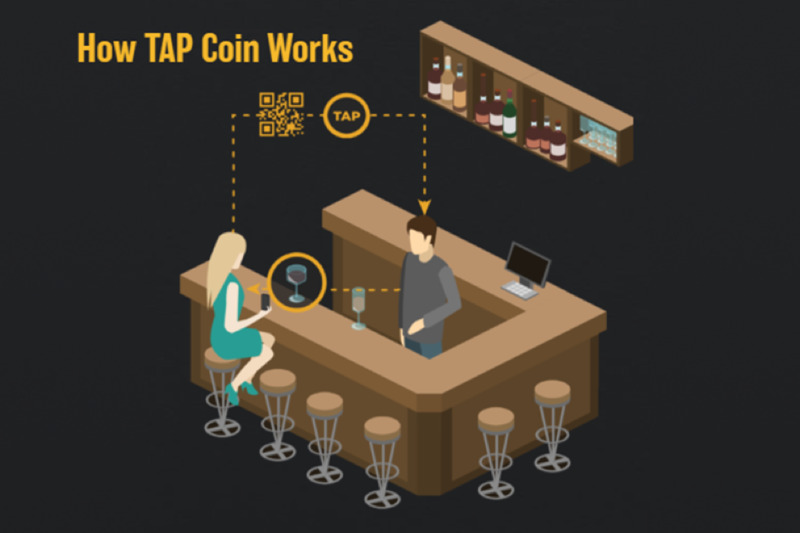 The beauty of the TAP Coin system is that it uses a loyalty program across all of its partners, meaning that you can spend money on a hotel in one city and use those points to claim a free or discounted drink at a bar in another city. This is why the program is so unique- it is the first of its kind in terms of ease of use, flexibility and breadth. Rewards and discounts can be claimed at any of the 100,000 venues on the TAP register. Given their strong backing by a host of prominent investors and celebrities, TAP Coin is set for big growth. The brand certainly has fantastic pedigree. Nearly 200,000 members have joined HOOCH since its release date and it operates from Los Angeles to Hong Kong. The HOOCH Black premium program that opens access to different discounts on over 100,000 hotels worldwide, travel deals, concert tickets, celebrity VIP events and many other interesting experiences also has been a resounding success. The stage is set for TAP Coin to do the same, while reorganizing the way online advertising operates.